Over 200 of the UK’s leading Caravan, Motorhome and Holiday Home suppliers are set to take to the SEC, Glasgow (7 February – 10 February 2019) for Scotland’s largest exhibition. 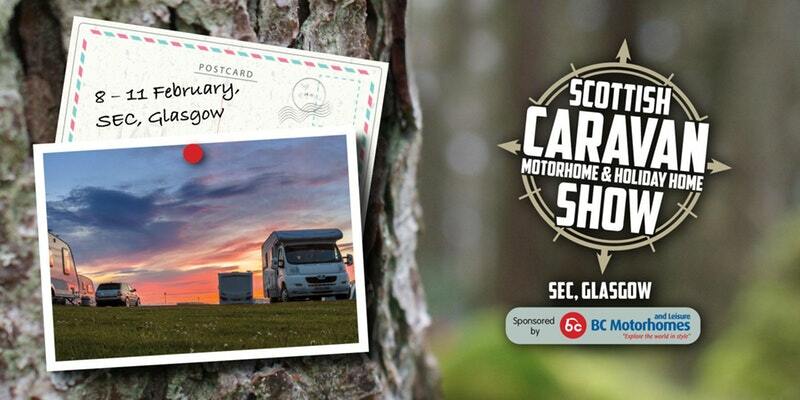 Whether you’re looking for a family home from home, or hoping to discover the hidden gems of Scotland while on wheels, the Scottish Caravan, Motorhome and Holiday Home Show has everything you need to plan your next getaway. From the latest Holiday Homes and Caravans, to cool campervans and state of the art Motorhomes, all under the one roof.